What was the motorcade route? The presidential motorcade started north of the city at Dallas Love Field airport and proceeded southeast on major thoroughfares. Passing through downtown Dallas, the parade turned north off of Main Street onto Houston Street (which was two-way at the time) for one block. The motorcade then turned left onto Elm Street and headed toward the triple underpass and freeway en route to the president’s luncheon speech at the Dallas Trade Mart. Shots were fired on Elm Street beginning as the president’s limousine was near the large live oak tree on the north side and ending just before the limousine reached the steps leading up the hill. Most witnesses thought there were three shots, but some thought there were two or four or more. What is the grassy knoll? Many eyewitnesses to the assassination thought at least one of the shots came from the right front of President Kennedy in an area now known as the grassy knoll. This area is a hill on the north side of Elm Street near some concrete steps and topped by a 5-foot wooden stockade fence. The term “grassy knoll” originated with United Press International reporter Merriman Smith, who rode in the motorcade five cars behind the president. What happened to Kennedy’s presidential limousine? The car was stripped to the frame, refurbished and returned to service under Presidents Johnson, Nixon, Ford and Carter. The car is now on exhibit at The Henry Ford Museum in Dearborn, Michigan. Who was Officer J.D. Tippit? J.D. Tippit was the Dallas police officer killed by Lee Harvey Oswald in Oak Cliff about 45 minutes after the assassination of President Kennedy. Where was Lee Harvey Oswald shot? Lee Harvey Oswald was shot by Jack Ruby in the basement of the Dallas police station during a routine prisoner transfer to the county jail on the morning of Sunday, November 24, 1963. Where is President Kennedy buried? President Kennedy is buried at Arlington National Cemetery in Arlington, Virginia. Oswald is buried at Shannon Rose Hill Memorial Park in east Fort Worth, about 40 miles west of Dallas. What happened to Jack Ruby? Despite a defense argument that Jack Ruby was mentally ill when he shot Lee Harvey Oswald, a Dallas jury convicted Ruby of murder with malice on March 14, 1964, giving him the death penalty. The Texas Court of Criminal Appeals reversed that verdict, agreeing with the appeal made by Ruby’s attorneys that he could not have received a fair trial in Dallas. A new trial was scheduled to begin in February 1967 in Wichita Falls, Texas, but Ruby died at Parkland Memorial Hospital on January 3, 1967 of a pulmonary embolism brought on by advanced lung cancer. 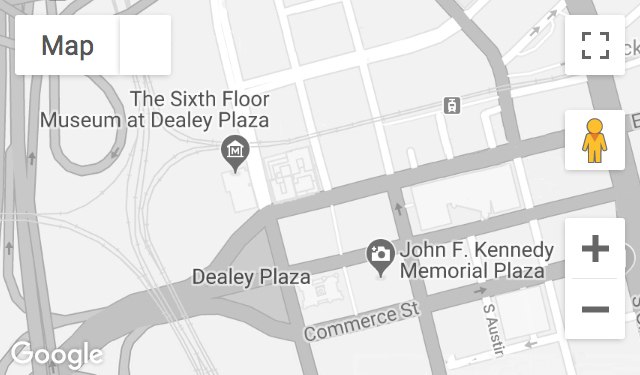 Where is Dallas’ John F. Kennedy Memorial, and how long has it been there? The John F. Kennedy Memorial Plaza is located two blocks east of the Museum. It was dedicated in 1970.